The first grouping of Painflower was discovered by Chief Agricultural Officer Aza Sinra on the first scrounging mission post Alpha Drop. She identified the analgesic properties of this plant and reported her discovery back to the medical staff and Colony command. Painflower is an annual, many-branched, herbaceous plant that grows from 1 to 5 feet or more in height. It has a robust taproot that can become quite large and deep-rooted. Leaves are deep green, lobed and wrinkled, and sometimes have a reddish cast. The terminal lobe is larger than the lateral lobes, especially on the basal leaves. Younger leaves growing higher up on the plant are less lobed and more elongated. 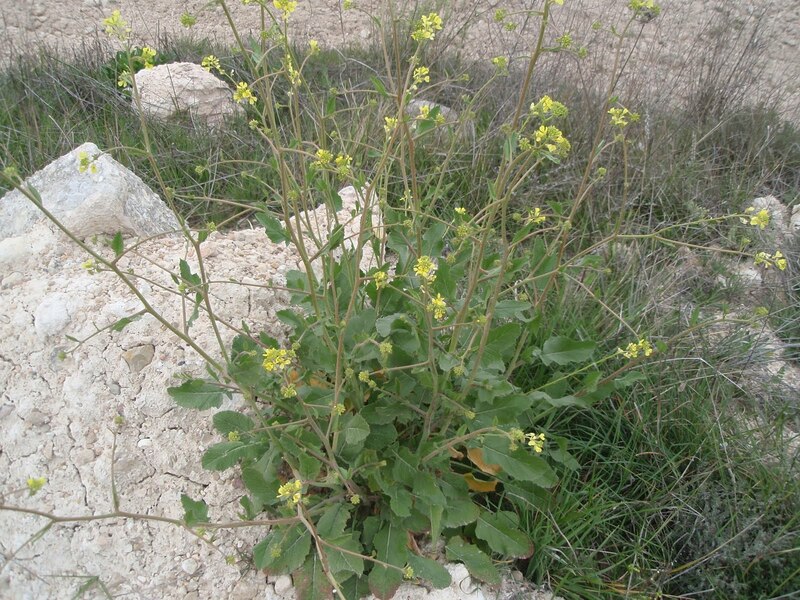 Painflower typically flowers from early spring into summer, bearing clusters of small, showy yellow flowers at the tips of its branches, resembling those of broccoli and cabbage. Painflower can be identified more easily and certainly by its unusually shaped fruit - a two-segmented seed capsule, called a silique. The seed capsule is stalked, with a long beak at the tip, and contains 1-2 seeds. The seeds are oval-shaped, dark brown, smooth, and tiny (about 1/16-inch). Painflower grows mostly in open sites on disturbed soils, including marshes, ditches, and agricultural areas. When ground into a paste and mixed with water, Painflower acts as a local analgesic. It numbs the surface of any exposed tissue for up to 6 hours. It is not recommended for oral use.